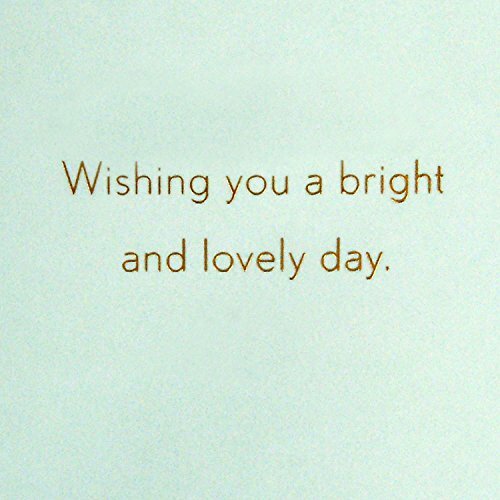 Inside message: Wishing you a bright and lovely day. 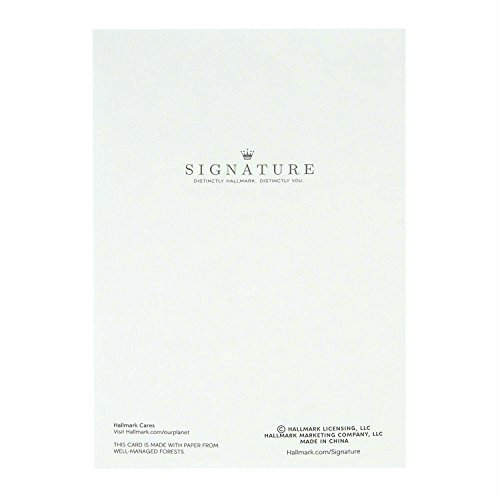 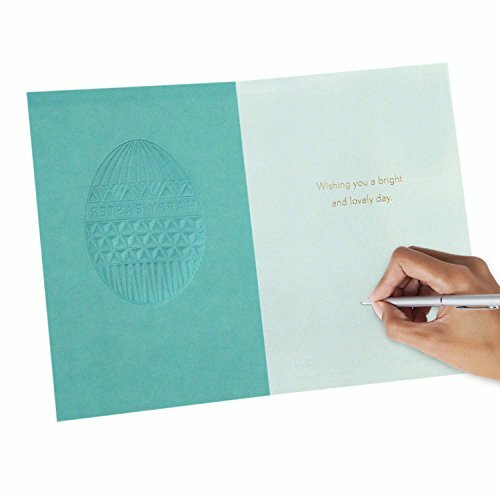 Printed on high quality paper stock, this Easter card is a sweet way to send a thoughtful note to anyone on your list. 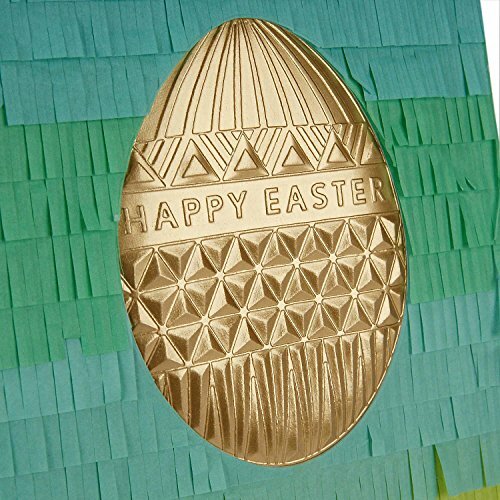 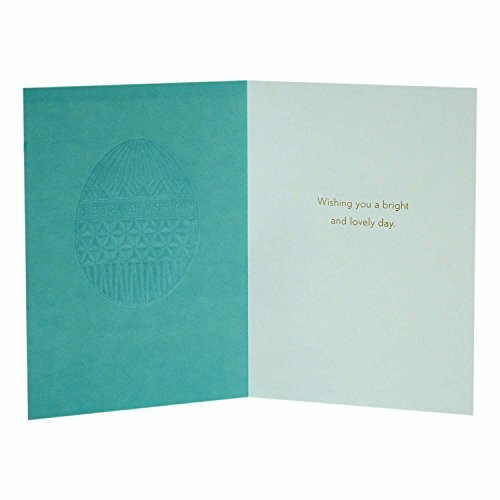 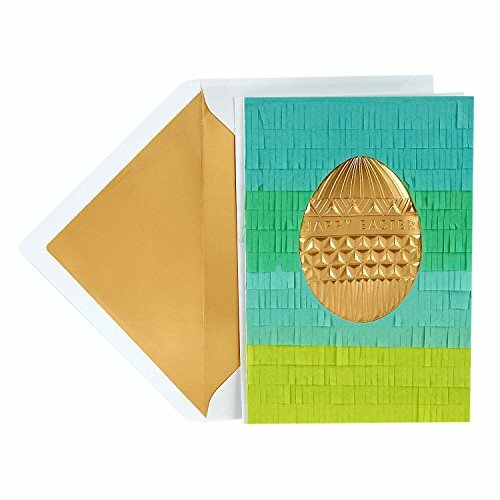 This card's design features a stamped golden egg on a paper grass background in shades of green.